at their convenience and they will REWARD it. and gain more RETURINIG CUSTOMERS. most efficient way of marketing today. branded for you and delivered in one week. At the time when there are more then 130 million smartphone users in North America, which represents about 40 percent of the population and with as much as 50% or all searches occurring on a mobile device, small businesses that ignore mobile put the future growth at risk. Studies show that a majority of mobile users use apps more often then they access the internet. This means if you are only using a traditional website as a marketing tool, your are missing out on a large portion of your potential customers. Statistics indicate that mobile marketing campaigns prove to be more effective than any other marketing form. One of the key benefits of having a mobile app are Push Notifications. When your customers download your app they automatically see your discounts, coupons and promotions. You are able to send a message directly to your customers and have confidence knowing that there is 97% chance the message will be seen, as compared with an email open rate of 22 percent or lower. 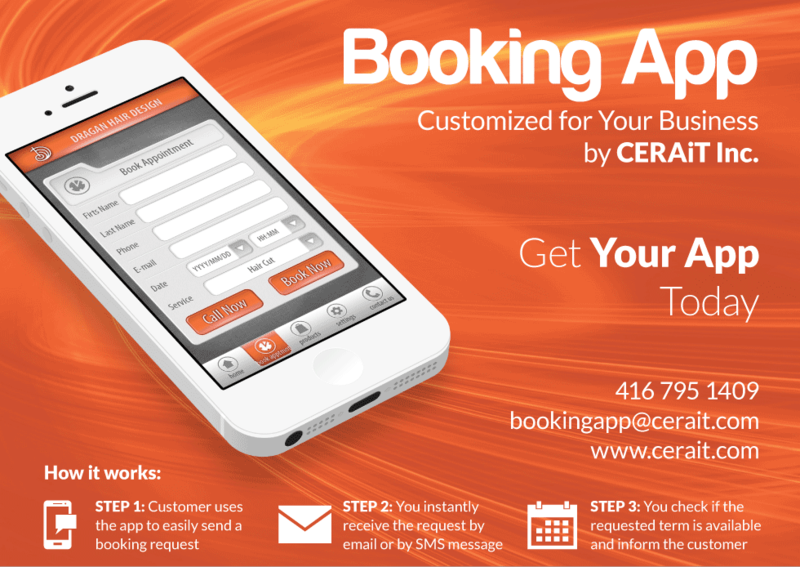 Let your customers easily book your service anytime, anywhere. 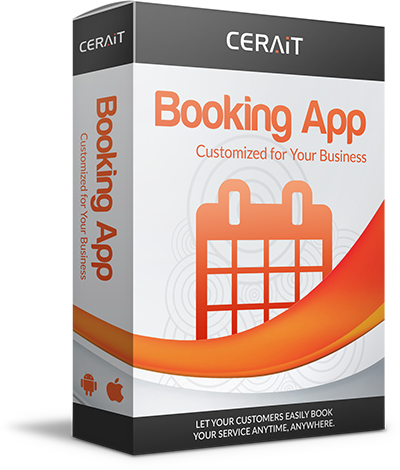 Book today and CERAiT will have your custom app up and running in 10 days so you can start benefiting from it. Our customer representative will show you a live app demo, gather info about your business needs and help with the finance model that will best suit your business. Let CERAiT be your trusted guide and partner to the next generation customer service. Contact us today for more info and to book a quick demo.